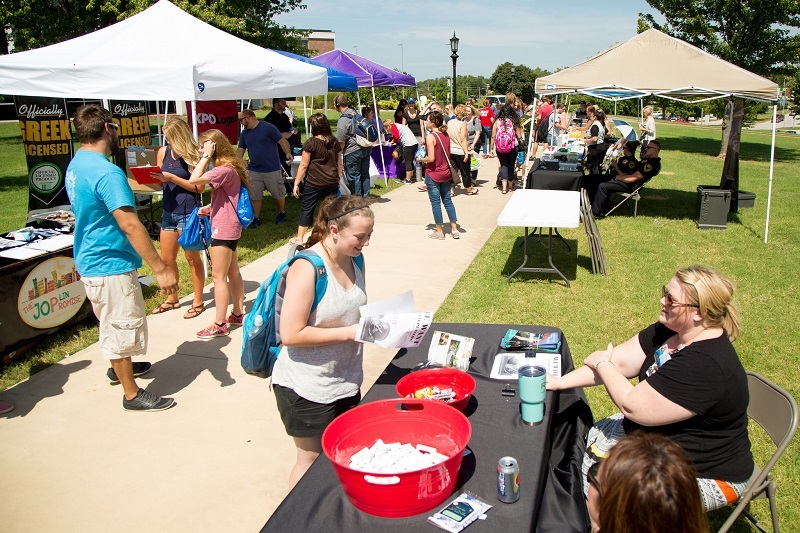 Registration is now open for employers for the annual Community Day to be held 0:30 a.m. to 1:30 p.m. on Wednesday, Aug. 23, on the Oval at Missouri Southern State University. Sponsored by the Career Services office, the event allows students to visit with area businesses and non-profits, sample products and explore job and volunteer opportunities. The registration fee is $25, which includes one table and two folding chairs. The $200 sponsor level includes premium table placement and company logo on event marketing materials and online. Vendor registration must be received by Aug. 14 and sponsor registration by Aug. 7. To register, call 417-625-9343 or visit www.mssu.edu/career.